Last weekend I adventured to the Delaware State Fair for the first time in years. (Check back on Wordless Wednesday to see what motivated my visit on such a hot July day.) And while I no longer had an urge to beg my parents for pink cotton candy, I still felt like I was on a sugar high from the childhood nostalgia. Tiffany of In a Pretty Home captured the magical feeling of hazy summer memories. 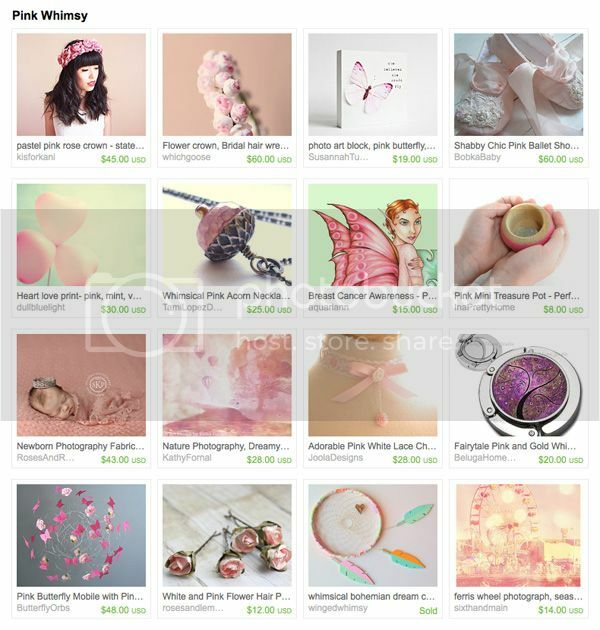 Her whimsical gift ideas include silk ballet shoes by Bobka Baby, ferris wheel photograph by Sixth + Main and my pink ribbon art print. This is by far one of the treasuries I love the most. It was a joy to create and your fairy fit so beautifully. Thank you so fairy much, Jeannine! There are a few treasury tools out there that will convert Etsy's code, but I prefer to take a screenshot so it looks like the curator originally intended it.